So you are in Iceland and you want to have that one of a kind experience that will make your visit to Iceland more memorable than others . 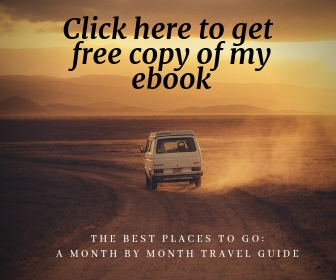 You have done Golden Circle , you have seen Gullfoss, Skogafoss and its like , you have visited the crashed plane site but you are still looking for that one secret thing that will make your entire experience go to the other level. 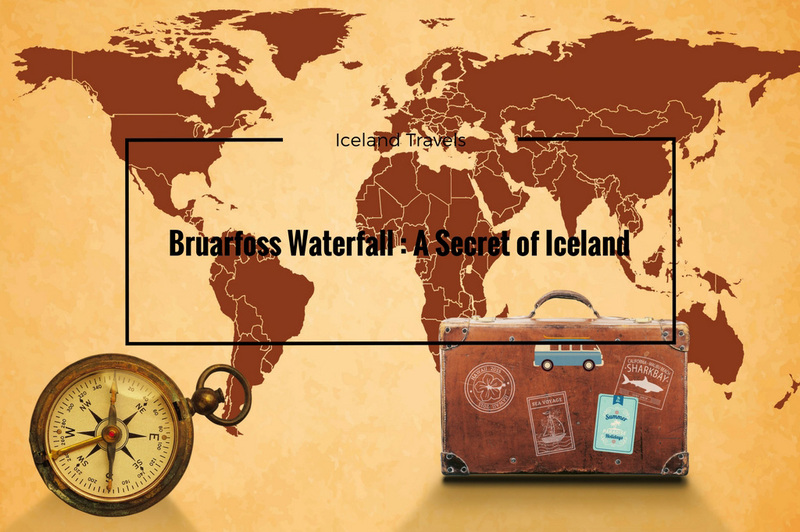 Well look no further , Bruarfoss Waterfall: A Secret of Iceland will make you put on your Indiana Jones hat and will transform you from being a tourist to an explorer. Yes in addition to famous and majestic waterfalls , Iceland has countless smaller waterfalls, many of which are no less captivating, even if they don’t have the same quantities of water cascading down high cliffs. 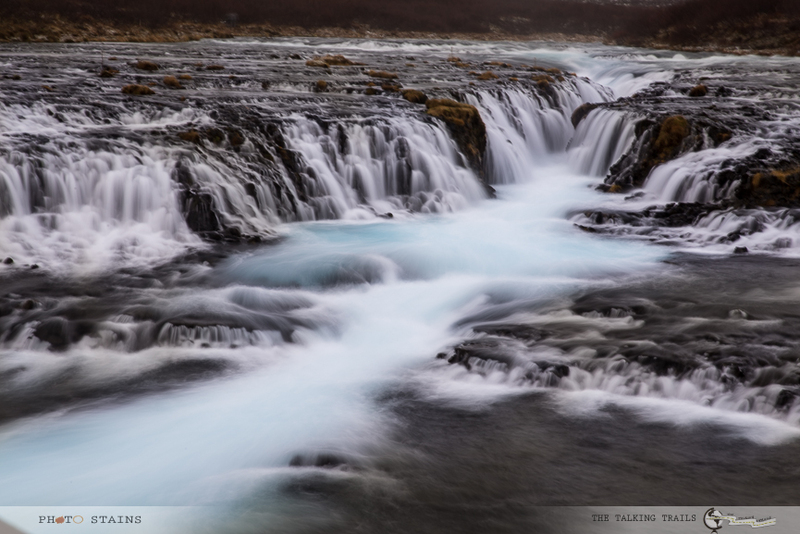 One of such waterfalls is Bruarfoss. Stay on route 355 , take a left towards a residential area , find a parking , hike on a gravel road for about 20 mins until you see a small bridge and then just follow the sound. Simple right?? Well that is pretty much what I knew when I first visited Iceland. Probably this was one of the reasons why I did not visit the waterfalls at that time – also I did not have much time and I hate to get lost ( well in my defense , who likes;) ) . 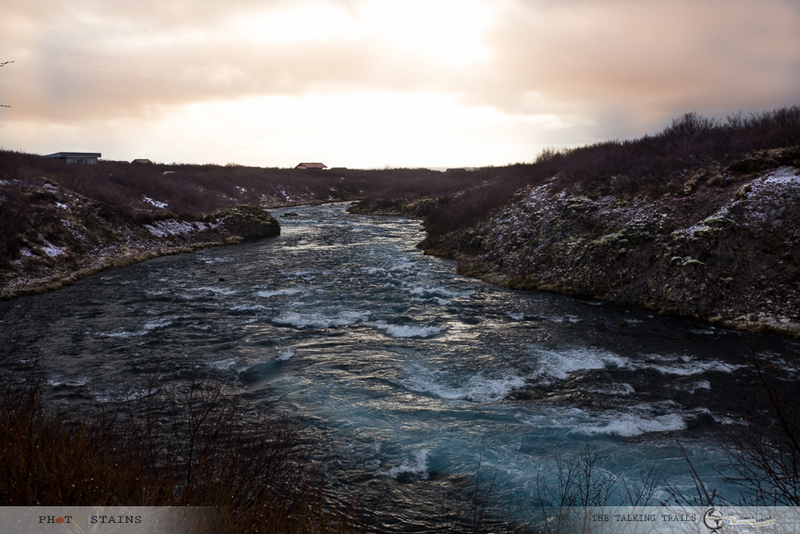 On my second visit to Iceland , I was pledged to find the blue waters of Bruarfoss and this time , I had more detailed directions. As much as I can proudly say that I did not get lost in finding Bruarfoss , I must confess that the trip had its fair share of fiascoes – I lost my tripod , dropped my phone in water and thanks to icy trail ,I fell couple of times. But that is just me and my luck . If you are visiting Iceland anytime sooner , I will highly encourage you to put Bruarfoss on top your list – I am here to help. Bruarfoss is about 60 miles away from Reykjavik. 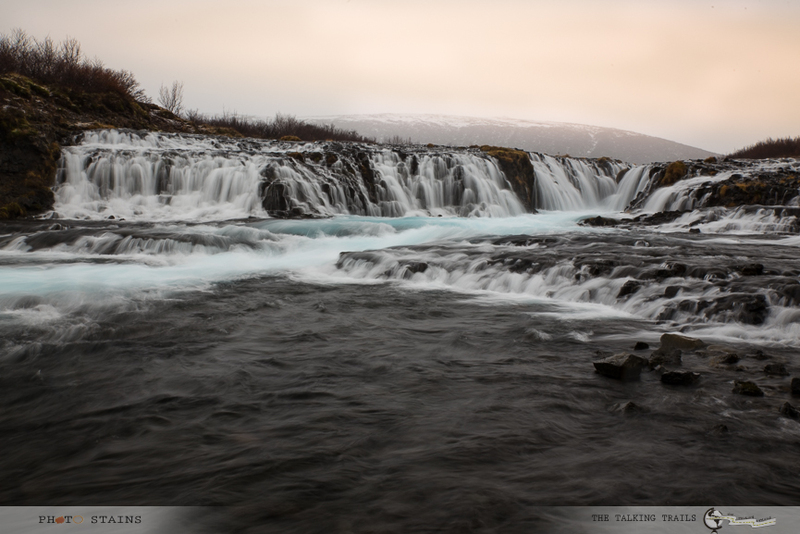 If you are doing Golden Circle , you can add Bruarfoss in your itinerary as well. As you proceed through Golden Circle between Geysir and Þingvellir Park, take route 37. Just after you pass the intersection of Route 355 and 37, look to your left (north), and you will see a neighborhood of summer homes. Take the third left into the neighborhood. Follow the road that will take you to the back of the neighborhood where you will find a small gravel , unmarked turnoff. It is a very small parking lot with no marking and just enough to park 2 cars max. If you are not among the lucky 2 who can park in this area , you will need to find parking on road. From here you will find a short foot trail to a creek followed by a short foot bridge. You will have to walk about 20 mins. You can literally follow the sound until you reach a larger foot bridge. And here you are … the view to the perfect blue waters that is bound to leave you speechless- Ladies and Gentleman you have reached Bruarfoss. 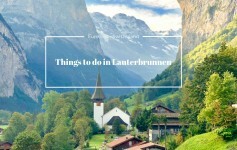 1) The entry to waterfalls is free. No parking fee. No entry fee. 2) The trail to Bruarfoss is not wheelchair accessible. 3) The parking is very limited. If you end up parking on the street , please be mindful and not block the driveways. 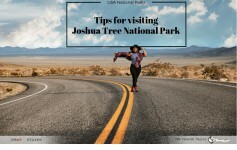 4) The trail is muddy and will require wearing shoes. 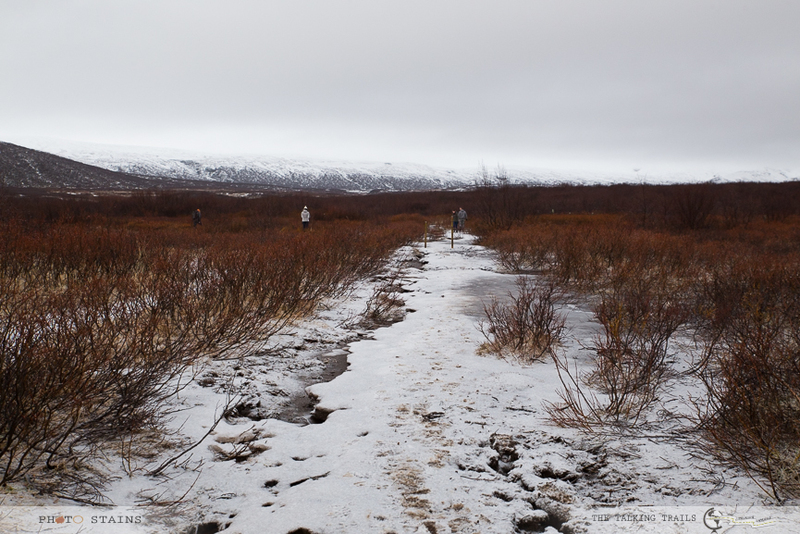 5) If you are attempting this hike in winters , please keep in mind that the trail gets very icy. You need to have really good grip in shoes. 6) There are absolutely no sheds or any roof along the way. So on cloudy days, please bring poncho or umbrellas. 7) There are no shops or canteens near the waterfalls. So carry your own food and water. Like many other places , Bruarfoss is becoming popular by the day , resulting in a lot of traffic . So before the unmarked trail gets shut down , take some time and visit this majestic waterfalls. 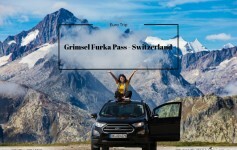 I will love to know about your experience at Bruarfoss. Did you get lost? Was it easy to find? Do leave me a comment below. Thank you so much for stopping by. Previous Article How much do you know about Iceland ? Spectacular pictures, Kanu! In what season did you go there? This seems to be a remote place so how is the phone/internet connectivity in case there is an emergency? is there lot of traffic on the trail?